The acclaimed National Book Award finalist--"one of the United States' finest writers," according to Joshua Ferris, "full of wit, humanity, and fearless curiosity"--now gives us a novel that will join the short list of classics about children caught up in the Holocaust. When his family is finally stripped away from him, Aron is rescued by Janusz Korczak, a doctor renowned throughout prewar Europe as an advocate of children's rights who, once the Nazis swept in, was put in charge of the Warsaw orphanage. Treblinka awaits them all, but does Aron manage to escape--as his mentor suspected he could--to spread word about the atrocities? Jim Shepard has masterfully made this child's-eye view of the darkest history mesmerizing, sometimes comic despite all odds, truly heartbreaking, and even inspiring. Anyone who hears Aron's voice will remember it forever. 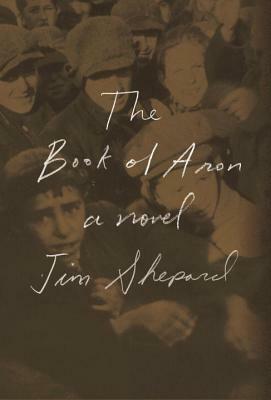 JIM SHEPARD is the author of six previous novels and four story collections, including Like You'd Understand, Anyway, which was a finalist for the National Book Award and won The Story Prize. His short fiction has appeared in, among other magazines, The New Yorker, Harper's Magazine, McSweeney's, The Paris Review, The Atlantic, Esquire, Tin House, Granta, Zoetrope, Electric Literature, and Vice, and has often been selected for The Best American Short Stories and The PEN/O. Henry Prize Stories. He lives in Williamstown, Massachusetts, with his wife and three children, and teaches at Williams College.